News and updates on all things related to the White Star Temple and Melchizedek University. I'm pleased to present a Video Meditation called 'Your Consciousness'. 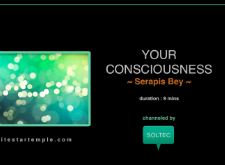 It's a graceful, insightful meditation from Serapis Bey as channeled by me - 10 mins. Six brand new Temple meditations have been added to our free audio library - enjoy! 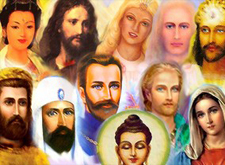 We've updated our Ascended Master transcript library with many new messages for you to enjoy. 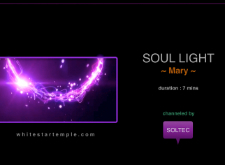 Mother Mary shares a beautifully descriptive message on the light of your Soul - enjoy! 7 mins. 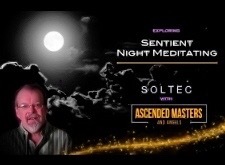 Join me in exploring the beautiful and expansive perspective the Ascended Masters bring to the idea of meditating outdoors within the night, connecting with the sentience of nature, the cosmos and inner self. 14 mins. 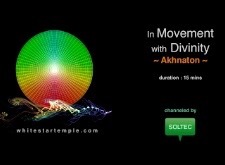 I'm pleased to present WST Meditation called 'In Movement with Divinity'. it's a beautiful, insightful meditation from Akhnaton as channeled by me and is 16 mins long. 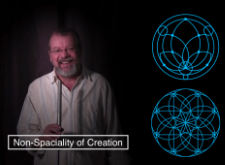 I've produced another new video for you as part of my ongoing Teaching series. We explore the idea of 'Non-Spaciality of Creation', where existence is not based upon place or location. 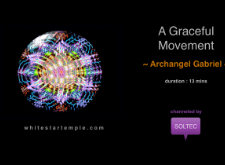 I'm delighted to present for your enjoyment a new WST Meditation called 'A Graceful Movent'. it's a beautiful, insightful meditation from Archangel Gabriel as channeled by me and at 14 mins is an easy focus. I've produced a new video for you to enjoy. 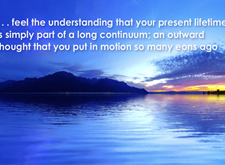 Each of us may be considered a divine 'equation' - an unfolding answer that Divinity seeks through us. 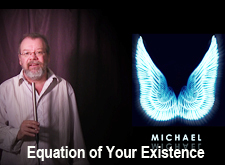 I explore Archangel Michael's explanation of this. 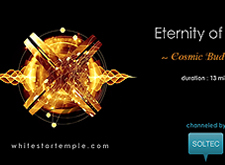 I'm delighted to present a new video meditation called 'Eternity of God'. This is a beautiful, channeled meditation from the Cosmic Buddha featuring expansive wisdom and energies. It's only 13 mins - enjoy! You can now enjoy Soltec's beautiful Mandalas and spiritual quotes on Instagram. 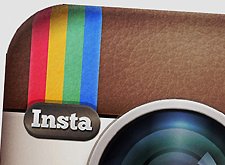 We'd love you to follow! 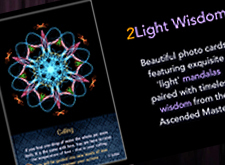 A quick video overview of our Light Wisdom Cardset 2. Showcases all 30 cards - enjoy! 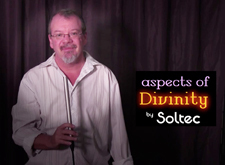 Soltec gives an overview of three powerful aspects of what we call 'Divinity', sharing simple yet expansive wisdom given by the Ascended Masters and Archangels. 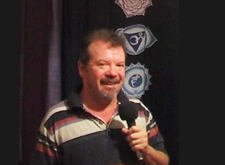 Soltec has just published a new WST video called Ascended Master Wisdom 3. It's short and very sweet! At last, our WST Membership is now available giving you access to an ongoing, premium resource of Temple teachings, meditations, galleries and more! 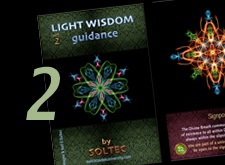 Soltec has just released his 2nd Light Wisdom Card set comprised of beautiful mandalas paired with timeless wisdom from the Ascended Masters. 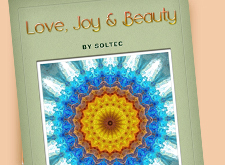 Soltec has just published his latest Mini-Book as part of the White Star Temple series, called 'Love, Joy & Beauty'. It's all that its title implies and more, full of wisdom from the Ascended Masters. Best of all its free!! 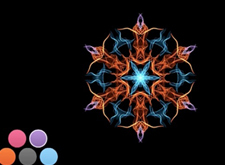 In response to the positive feedback we've received about our Light Wisdom Guidance cards we've produced a very short video showing Soltec creating a simple digital mandala. We hope you enjoy . . .
After months of design work we are pleased to present our brand new website for both the White Star Temple and Melchizedek University. Our new design is mobile friendly; looking great on tablets and smartphones as well as compliant with the most recent internet standards. We hope you also enjoy our fresh, contemporary design and new media elements. We've also added tons of new resources and our brand new Membership area soon to be activated. We've added a great free audio resource for you to explore. 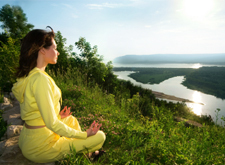 Our Temple meditation area offers a range of beautiful, contemplative spiritual lectures and meditations from the Ascended Masters as channelled by Soltec. You can access even more recordings by upgrading to our membership program. We've included two more FREE WST mini-books to Apple's iBookstore called 'Soul Light' and 'Understanding Angels'. Featuring beautiful wisdom and stunning images, these books are a delight to experience. iBooks can only be viewed on an iPad. Just search for 'Soltec' on the iBookstore. HOWEVER we also have .pdf versions for non-Apple users to download from our website and enjoy! Our whole website is based upon the work of the Australian channel Soltec. it is through Soltec that the Ascended Masters and Angelic Realm have given us these beautiful teachings from within the White Star Temple. Learn about who this gentle and quiet man is. 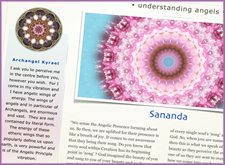 We offer a fantastic resource of beautiful teachings from the Ascended Masters and Angelic Realm in our WST Library. This library features over 28 individual spiritual lectures that have been hand-picked and edited by Soltec for your personal expansion and are organised by theme for convenience. You can access even more wisdom by upgrading to our membership program. If enough interest is shown, Soltec will begin an online WST Meditation group in 2019 and all are welcome to participate. 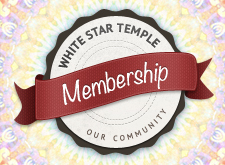 Our White Star Temple Membership is undergoing changes - stay tuned! Soltec will be developing and offering a number of course this year.